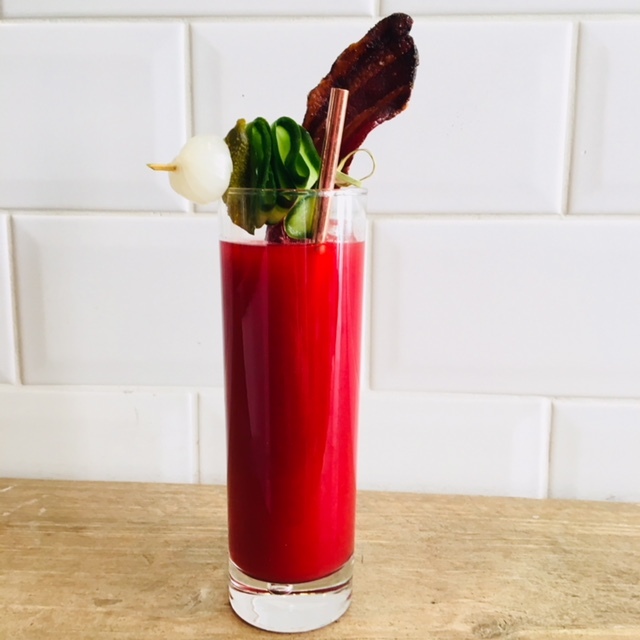 We love a good Bloody Mary, especially with a hangover, and we do have the odd hangover. So we decided to have a special one off distillers table on a Sunday afternoon to showcase some of our favorite Bloody Mary variants. We decided to go on a little world tour starting with the classic British Mary, then on to Japan for something a little funky and then finishing up in Mexico for a real pick me up. Should be enough to see off even the boldest of hangovers. For the classic we went with Aqvavit for the booze because it makes a great Mary, the dill seed really lifts the drink. For the tomato we made a mix of juice and passata to make things nice and rich. Celery salt, Worcestershire sauce, tabasco, lemon juice and black pepper to cover the classic must have elements. Then we added a splash of beetroot juice for depth and a color that pops. To finish we garnished with cucumber, pickles and agave glazed smokey bacon. 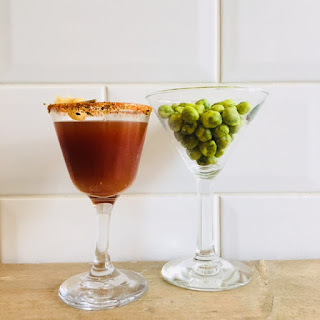 The Japanese twist got a little funky, we used our Japanese inspired gin Kojin as the base, then added a touch of tomato juice, some Tonkatsu sauce (its like a cross between BBQ sauce and brown sauce but funkier), some aged rice wine and yuzu juice. Garnished with pickled ginger and wasbi peas. We made sure everyone had a hangover at the start of the session, and pretty confident everyone was well and truly cured by the end! A timber yard and Woodshop that is manned by volunteers and stacked with reclaimed wood from Bristol and beyond. All the wood at the distillery is from the BWRP. I love the used scaffold boards. A magical little toy shop specialising in wooden toys. A great place to pick up presents for small children. Their toys and books are obviously carefully selected and all great quality. STÎL Homeware in Fox and Feather, Gloucester road. We bought a couple of lamps from them recently, and spent ages browsing. They have a great selection of Scandi inspired stuff. You will have noticed that we only serve three types of drinks in the distillery; Gin & tonic, Martini and Negroni. Its not just because we like to keep things simple (although we do) its because to us these are the holy trinity of gin drinks. Arguably the most popular way to drink gin and possibly the most famous booze pairing ever. Everyone's recipe varies according to taste but in the distillery we serve ours: 50ml gin, 100ml tonic, in a tall glass with a long stick of ice and garnished with fresh citrus. The history of the G&T really begins with British colonial India, when the British troops would mix their medicinal quinine with their gin ration to make it more palatable. The rise of the G&T as a drink can clearly be traced back to the early days of Queen Victoria and the return of the expatriates from the Indian colonies who had developed a love for the concoction.